As you “fall” back into your routines and school is back in session, the pace of your home life has likely become a bit more hectic. When it’s nearing the dinner hour and you’re crunched for time, avoid the temptation of a drive-thru window or microwavable meal. Instead, opt for savory and satiating dishes using fresh ingredients that will deliver delicious results in no time. One simple way to spend less time cooking and more time catching up on the day’s events is to use an easy meal helper, such as Smithfield Seasoned Fresh Pork. 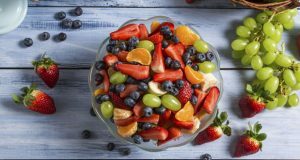 Seasoned with a variety of fresh flavors like Peppercorn & Garlic, Teriyaki or Garlic & Herb, it’s the perfect base for any weeknight meal whether you’re grilling, roasting or sauteing. Seasoned fresh pork can also be sliced into medallions or cubes for faster cooking, so you can have dinner on the table in as little as 10 minutes. Plus, it’s packed with protein and made from 100% fresh pork, so you can feel good about feeding it to your family and friends. 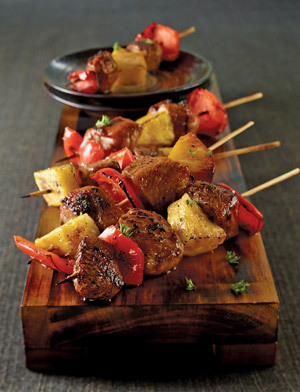 For a hassle-free weeknight meal, try a sweet and spicy kabob with Peppercorn Garlic Seasoned Pork Sirloin, crunchy bell peppers and juicy pineapple. 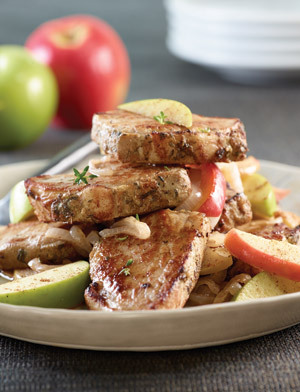 Or, enjoy Garlic Herb Seasoned medallions paired with the sweet taste of fresh apples. Complete the meal with a serving of hot couscous and steamed broccoli. 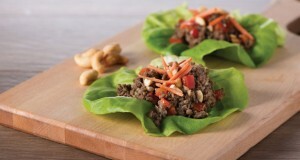 For more family-friendly and time-saving recipes, visit www.Smithfield.com. 1. Heat broiler with rack about 8 inches from heat source. 2. 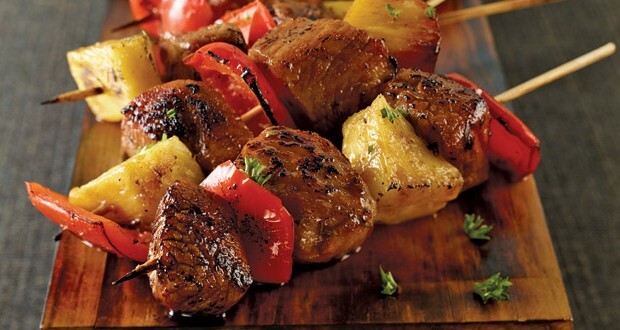 Thread 2 pieces of pork, 1 red pepper piece and 1 pineapple cube onto each skewer. Wrap exposed end of each skewer with foil to discourage scorching. 3. Mix honey, vinegar and jerk seasoning together for glaze. 4. Broil kabobs, turning occasionally, until pork is done, about 8 minutes. Generously brush kabobs with honey glaze during last 2 to 3 minutes. 1. In large skillet, saute pork slices in oil over medium-high heat until browned. Remove from skillet and keep warm. 2. Add apple, onion and apple pie spice to skillet; saute over medium-high heat until onions are tender. 3. Return pork to skillet; add apple juice. Cover and simmer until internal temperature of pork reaches 150°F, about 5 minutes.